3 oz. portion of chicken breast or 3 oz. portion of salmon? Both salmon and chicken breast provide great sources of protein. A 3 oz. of boneless baked or grilled salmon has approximately 20 grams of protein while 3 oz. 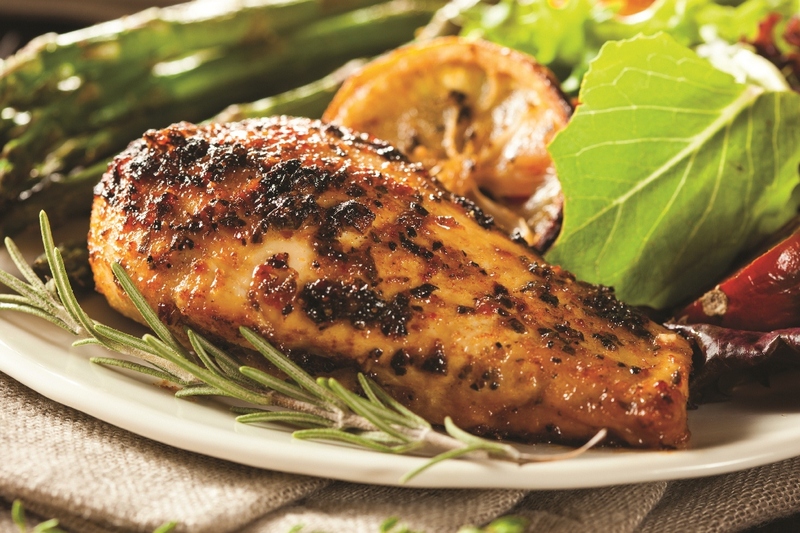 of chicken breast without the skin has approximately 24 grams of protein. Other foods that are high in protein include cheese, milk, yogurt, pork, beans, nuts, and eggs. Eating different sources of protein can ensure that you are getting a wide variety of vitamins and minerals. Today, many people have become more health conscious and are beginning to realize the importance of diet and exercise. Protein recommendations are higher for athletes and for those with increased physical activity. People who are trying to lose weight can benefit from additional protein as well because the protein will help fuel the fat burning while aid in preserving lean muscle. Protein and fats will satisfy your hunger more than carbs by slowing down digestion and making you less likely to go back for seconds. An increased protein intake can help build and preserve muscle mass. Protein requirements for the general public are around 0.44 grams per pound of body weight. A 200 pound man would need about 88 grams of protein daily. Endurance athletes are recommended to have 0.55 to 0.80 grams per pound of body weight daily while strength athletes should get 0.68 to 0.91g/#bw daily. As for those trying to reduce body fat, while maintaining lean muscle, shoot for 0.82 to 0.91 grams per pounds a day. Stoler, Felicia D. DCN, MS, RD, FACSM. "Sports Nutrition." American College of Sports Medicine.